Galileo Digital Pianos proudly announces a new level in digital piano technology with it’s all new line up of YP digital pianos – the model YP200! With all new VEGA technology that produces an all new state of the art reproduction of superb piano and more, Galileo takes digital pianos closer to an acoustic piano, than ever before. 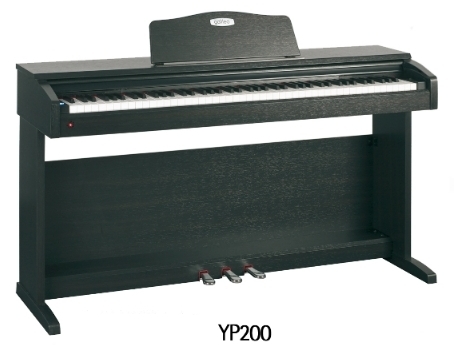 You’ll find not only new cabinetry and enhanced amplification, but a new grand hammer action, that along with new MAF, mechanical action feel, duplicates the perfect feel of a real grand piano action.